Heart of Darkness by Joseph Conrad is a dark and extremely dense book — the first few times I spent reading it, I felt as though I were inching through the pages. (I read the Norton Critical Edition, which contains about 77 pages of the actual text, and it took me about 4 hours to read less than 30 of those pages.) At first, I’ll admit that I couldn’t stand it. It was difficult to read and it’s not exactly one of the fast-paced thrillers we’re used to reading today. But after reading it twice and analyzing it through discussions, I slowly grew to like it. There is literally so much material packed into this book that you have no choice but to read it carefully so as not to miss details (and, even then, you’ll miss a ton — I’m certain I did). But it is worth it. Because, in the end, you will have read such a thought-provoking work of literature that your head will be spinning with ideas and questions that seem to branch off in endless directions. With so much of the story being consumed by Marlow’s tale, it is important to remember that he is not the narrator of the novel — indeed, one of the nameless seamen aboard the ship is in truth telling the story. Which brings us to one of the key nuances of Heart of Darkness that makes it such a complex novel: the different layers of storytelling within the book itself, and the different ways in which our opinion of the situation at hand is manipulated by the interpretation of the storyteller. In many cases, this is Marlow, who, as we see throughout the book, is not the most perceptive, nor dispassionate, translator of events. At the beginning of the book (page 5 in the Norton Critical Edition), Marlow is described by the narrator of the novel as finding the true meaning of an episode “not inside like a kernel but outside, enveloping the tale which brought it out only as a glow brings out a haze.” This makes the book much harder to analyze and understand thoroughly because the reader cannot completely trust the primary storyteller. The 1979 film Apocalypse Now is based on Heart of Darkness. Although the setting and context of the story are different (the movie is set during the Vietnam War), the details and ideas that really define the book — racism, loyalties and motivations, individual perceptions of events, restraints, etc. — are what make the movie so similar. If you haven’t watched the film yet, I would highly recommend reading the book before seeing it, as it will make the experience of watching it so much better. There is so much to say about this classic! I really enjoyed reading it and I would suggest reading it at the same time as a friend, so you can discuss it together. This is one of those reads that really benefits from thoughtful analysis, and you need to be alert to pick up on important details and themes. 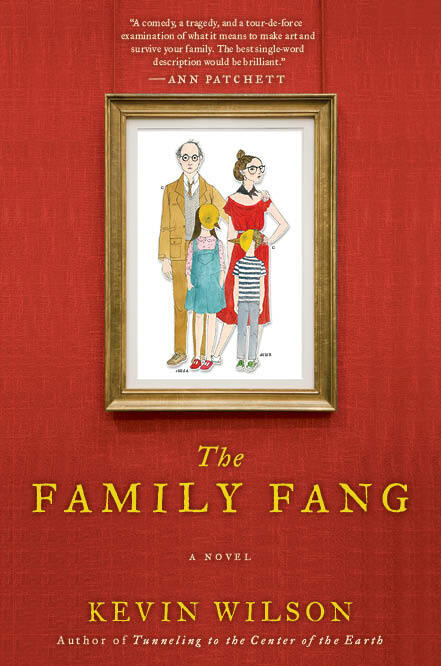 It is well worth the read, I promise — just be aware that it is difficult to get through the beginning, but once you acclimate to Conrad’s dense writing style, it becomes easier to understand. Happy reading! In August, I posted 10 of my all-time favorite reads (which you should check out if you’re looking for a good book! ), including Tracy Kidder‘s Mountains Beyond Mountains. 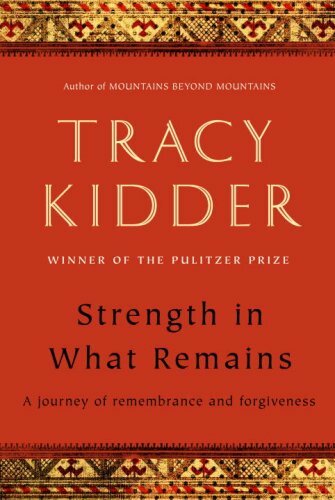 This book, Strength in What Remains, from the same Pulitzer-prize winning author, has definitely taken its place of honor on my virtual bookshelf. Not to say that Mountains Beyond Mountains isn’t an incredible work, but I felt that I connected more with Deo (the protagonist at the center of Strength in What Remains) and his plight. Aside from the background story of the conflicts in Burundi and Rwanda, Deo’s story is truly inspirational. Strength in What Remains holds all the same qualities we’ve come to expect from Kidder from reading Mountains Beyond Mountains — resilience, hope, humanity. 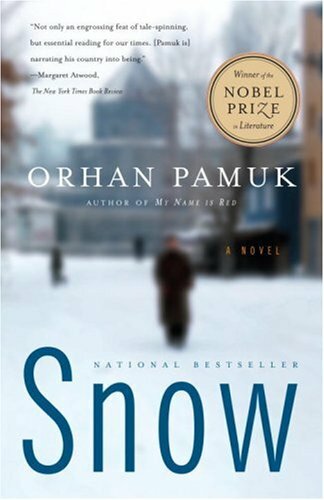 Being his latest book, I thought that it was much better organized than Mountains and I liked the way the chapters were broken up by time and place so the reader could create a timeline for the story in their mind. The story flowed better, in my opinion, Deo’s life, not his work, took center stage. Only the last section of the book details the story of the clinic he went back to build in Burundi, although I’m sure Kidder could have focused on that alone if he wanted to. But he didn’t, and it makes Deo’s story so much more fascinating because it’s not so much about what he does and how that defines him (like in the case of Paul Farmer and Mountains), but about his struggles that provide insight into the universal human spirit — something everyone can connect with, whether Burundi’s civil war interests them or not. In all honesty, Strength in What Remains just had something special in it for me that Mountains Beyond Mountains couldn’t quite capture. It felt so much more personal and real, and while reading it I felt as if I was learning along with Deo, rather than being lectured to. 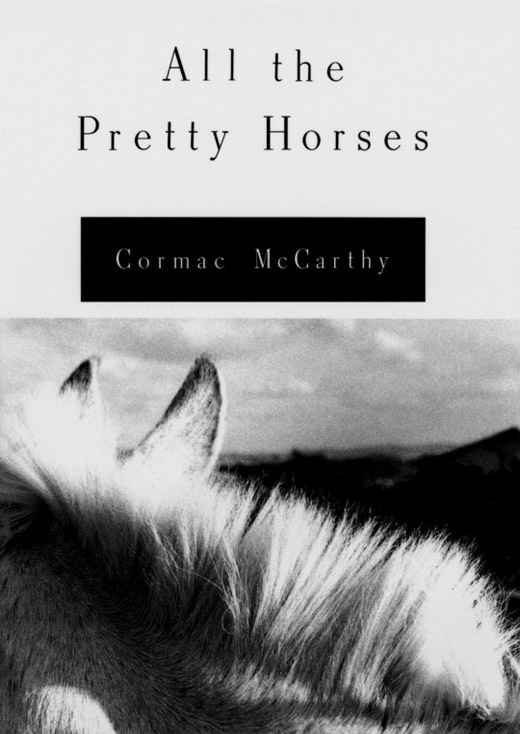 But without comparing the two works, Strength holds its own as an incredible book. Kidder’s writing, as always, is clean and straightforward: easy to read, yet still intelligent and poetic. I’m a big fan of his prose — it blends detail and simplicity perfectly, without cutting too much out or loading the text with unnecessary description. Recently, I had the honor of attending a lecture by Tracy Kidder. I thought he was an excellent speaker and I very much enjoyed his presentation, which mainly focused on Strength in What Remains. When I got in line to get my book signed, however, he wasn’t very engaging — maybe this is just the impression I got from him, but it’s funny how meeting the author can give you a new perspective on his work. I really do enjoy his books, though, and I’m going to try my best to read the rest of them without bias. P.S. Sorry I haven’t been posting much lately – I will try and post a bit more when I have free time and return all your lovely comments!